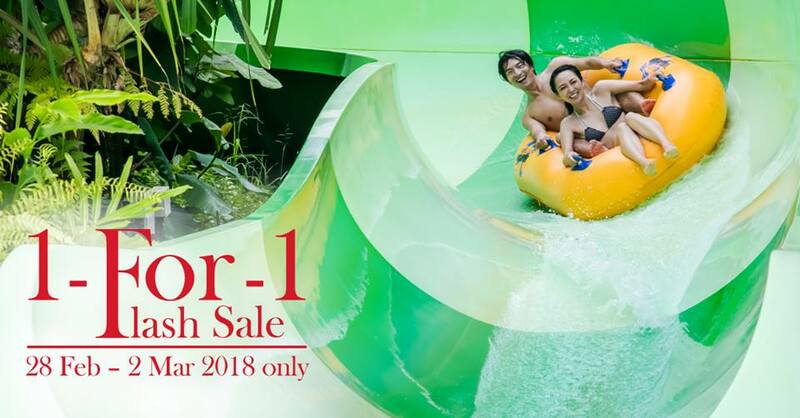 Buy 1 get 1 FREE Adventure Cove Waterpark tickets deal from 28 February to 2 March! You are at:Home»Entertainment»Buy 1 get 1 FREE Adventure Cove Waterpark tickets deal from 28 February to 2 March! Tickets are valid for visits until 31 March! Next Article ATTN CAFE LOVERS: IKEA CAFE IN IPC SHOPPING CENTRE IN KL IS NOW OPEN!